The chances are, you've never heard of iridology - the study of the coloured part, or iris, of the eye to gain information about an individual's health status. This is a shame, since iridology deserves a place among the pantheon of better-known methods of health assessment, such as tongue and pulse diagnosis, used by herbalists and naturopaths the world over. It's important to note at the outset that iridology is not a diagnostic technique. If you came to me for a consultation in Forest Row, I would take photos of your irises - more correctly, irides - using the rather ﻿Heath Robinson-esque﻿ equipment lurking in the corner of my consulting room. I would then use these images to tell you more about yourself and to guide and shape my advice to you, but I would not look at your iris pictures and say, "Your eyes tell me you've got rheumatoid arthritis/an underactive thyroid/type 2 diabetes/insert medical condition here." Some iris features and groups of features are more common in people with certain conditions, providing clues to the iridologist as to why the condition may have developed and the appropriate treatment approaches. This is very different to diagnosing the complaint using iridology in the first place. There are two areas where iridology is most useful. On the one hand, it provides plenty of extremely useful information on an individual's inbuilt strengths and weaknesses. This allows the iridologist to share with their patients strategies to help them live within their own constitutions - the keys to a hopefully problem-free health future. Secondly, iridology offers numerous clues as to why specific conditions may have developed - the 'dynamics of disharmony' in my iridology tutor's memorable phrase - information that naturally points to the appropriate treatment. The most obvious characteristic of an individual's iris is their eye colour. This is caused by the presence or absence of pigment. Blue eyes, for example, are not actually blue: the fibres that make up the blue iris are colourless. It is the layer below the iris fibres that contains blue pigment, and this colour is reflected in the blue eye because the iris fibres do not contain any pigment themselves. Green/hazel and brown eyes contain increasing amounts of brown pigment covering some or all of the iris fibres. The first level of the iridology assessment is the individual's overarching constitution, which corresponds to the blue, brown and green/hazel eye colours. We'll take a brief look at the three broad iridological constitutions below. Blue eyes are known as the 'lymphatic' constitution in iridology, named after the lymphatic circulation. The lymphatic system lies just below the skin, draining and recycling metabolic wastes produced by cells and tissues. Rich in circulating white blood cells, lymph fluid is also an active part of the immune system. Lymphatic iris types show a high degree of reactivity in their systems and are prone to infections and inflammation. These are the body's way of trying to rid itself of unwanted irritants, with the lymphatic system playing a central role. Blue-eyed kids usually suffer from the classic inflammatory childhood diseases, such as measles, mumps and chickenpox. Lymphatic types are prone to arthritis and rheumatism, allergies and especially hay fever, swollen glands and irritations of the mucous membranes such as sore throats and tonsillitis. 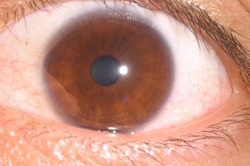 Iridologists call the brown-eyed constitution the 'haematogenic' constitution. Brown-eyed people are at the opposite end of the reactivity spectrum from blue-eyed, lymphatic types. Rather than setting up a powerful inflammatory reaction to rid itself of unwanted material, the haematogenic system tends toward accumulation and excess. There are fewer early-warning signs, such as fever, in brown-eyed people, and as such any health conditions are likely to be more serious as and when symptoms do appear. Common conditions among haematogenics are metabolic disorders, including raised blood sugar leading eventually to type 2 diabetes, anxiety and stress, and lumps, bumps and cysts of all kinds. 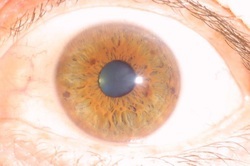 The final iridological constitutional type is the mixed iris, which contains both pigmented (blue) and unpigmented (brown) areas upon examination. Mixed eyes look green or hazel to the observer. The watchword for mixed iris types is digestion, as there is often a reduced supply of digestive secretions from the pancreas, liver and gallbladder. As such, mixed iris types often suffer from bloating and gas after meals and may tend toward constipation. They are also more prone to dysbiosis, where the natural balance of beneficial bacteria in the gut becomes disturbed. After the constitution, the next level of the iridological assessment is the disposition, or broad structure of the iris fibres. The disposition tells the iridologist about factors such as energy usage, resistance to stress, immunity and susceptibility to injury. This is followed by the diathesis, which is mostly concerned with the patterns of pigment that usually exist above the level of the iris fibres. The diathesis provides information on acquired as well as innate factors - that is, things that have built up over the course of an individual's life. As well as these, the iridologist would take many other features into account when assessing an individual's health status - so as you can see, this brief discussion of constitution barely scratches the surface of iridology. And that's without even mentioning behavioural or emotional iridology! As witnessed by the increasing use of iris-scanning technology in our paranoid modern world, the iris is as individual as the fingerprint. It's no exaggeration to say that iridology provides a truly individual method of health assessment, one that can shed light on problems both past and current and which offers the promise of living a healthful life within the limits of the bodies in which we are born. Why not give it a try sometime? It's been a busy, busy, busy time for me recently, so apologies for the complete lack of blogging at The HerbSmith recently. And this short, swift, guerilla-type return to action is purely to let you know that I'll be taking part in Freedom4Health Day next month, on Wednesday 3rd June. The deal: a free 30-minute consultation where you can learn more about herbal medicine, naturopathy, iridology or any other aspect of natural healthcare, or receive more specific advice about any health issues you may have. There's no pressure to take the consultation any further if you don't feel it's right for you. Freedom4Health (F4H) - the organisation - was set up largely to campaign for the maintenance of choice in healthcare, as its name suggests. 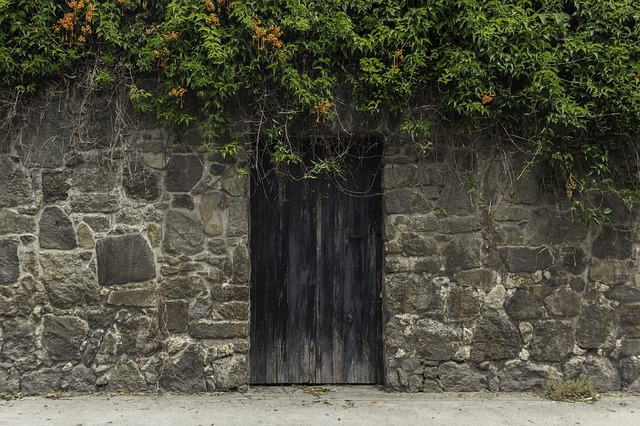 Natural healthcare of all forms is under increasing threat in the UK and elsewhere in the EU, with the result that people are finding it increasingly difficult to get hold of the effective and safe natural therapies on which they may rely. At the same time, natural health practitioners are under attack from the UK's Advertising Standards Authority (ASA), which has taken upon itself the role of deciding what practitioners can and can't say about themselves. The ASA has absolutely no expertise in this area and no statutory powers, but this is apparently beside the point. More on this another time! The point of F4H Day is to raise the profile of natural healthcare and the vital issue of choice in healthcare. Practitioners across the country will be getting involved, and I'm delighted to be one of them! Drop me a line at bookings@herbsmith.uk or via the contact form if you're interested - and please check your spam folder if you don't receive a reply. I will respond to every email I receive. So: a free, no-pressure 30-minute consultation where you can learn more about herbal medicine and natural healthcare, while boosting public recognition of safe and effective methods of treatment with the potential to save the NHS millions - if not billions. What's not to love? Looking out of my living room window on this early March morning, it's a heart-lifting surprise to see the garden radiating in golden Spring sunshine. The grass, the herbs, the flowers, the trees - all the life crammed into our tiny corner of Surrey seems to stretch and luxuriate in empathy with Scraggy, our scruffy, sleepy cat, as he welcomes the new season on the lawn. Things are finally getting warmer after a long winter. Which means that now is the best time to think about a New Year detox - odd as that may sound. Most people who plan regular periods of detoxification pencil one in for 1st January or thereabouts. Which is perfectly logical: "new year, new you" and all that. The only problem with this timing is that 1st January is slap bang in the middle of winter in the UK. That means cold, wet, windy, dark and generally unfriendly. It takes a lot of energy just to keep warm in winter. Winter is when we crank up the central heating systems in our homes so that they're on for most of the day, just to keep a pleasant, liveable temperature on the inside. Your body is a bit like that: you need more energy to keep yourself warm and to carry on the activities of daily living during winter. It's why we naturally tend to eat more stodgy, warming or energy-rich foods like stews, casseroles and soups in the winter months. Just as naturally, we start to think about a 'clearout' as the sun peeks out once more in Spring. 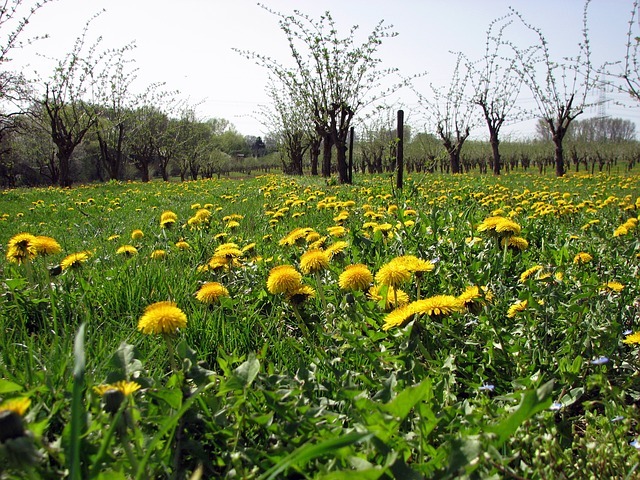 The natural world around us recognises and responds to this need by bringing cleansing and detoxifying plants within easy reach at this time of year: herbs like the diuretic and lymph-cleansing cleavers (Gallium aperine) and the classic liver tonic, dandelion (Taraxacum officinalis), are there to be gathered and used come Spring. Detoxifying requires a lot of energy, however, and is an energetically very 'cold' process. So diving into a full-on detox programme the second the calendar clicks over onto 1st January isn't necessarily the best idea. Far better to wait until Spring, when the weather is warmer and the calendar of the seasons is in synch with our natural cycles. Of all our detoxifying organs - liver, kidneys, skin, lymph and bowel - the liver is the undisputed heavyweight champeen, ladies 'n' gennelmen. Keep your liver happy and content and you'll go a long way towards living a long, healthy and, yes - happy and contented life yourself. Which is where the second part of my ebook, The Detox Download, comes in. The first part dealt with the kidneys, and the second part focuses on the liver. To get your free ebook, just click on this link and sign up to the HerbSmith mailing list with your email address. I promise not to bombard you with mailouts - just to keep you updated with interesting information, useful health tips and health-boosting recipes! Just as with the 'kidney edition' of The Detox Download, the 'liver edition' is meant only as a brief primer on detoxification, containing some simple tips that everyone can employ in their daily life. One of the beauties of herbal medicine is that it can be tailored to develop a detoxification programme unique to each individual, depending on their needs - and many people will require a more structured detox programme to reach their health goals. Contact me at bookings@herbsmith.uk or via the contact form if you think you might benefit from such a programme. For this week's Wonderful Weekend Recipe, I thought I'd continue the honey-based electuary theme from last week. My imaginary monks will be pleased! Ayurveda, which originates from India, is thought to be the oldest system of medicine in the world, dating back 5000 years ago or more. In fact it's even more than that: the word Ayurveda means "science of life" in Sanskrit and represents a complete system of healthful living, encompassing everything from diet and nutrition, herbs, massage and detoxification to the mind, emotions, activity, rest, sleep and how to live according to the seasons. Pretty much every aspect of life is covered in some way, and the key to it all is the concept of the three 'doshas': Vata, Pitta and Kapha. Everyone is governed by these three aspects - which represent the elements of fire, earth, water air and aether - to different degrees. Most people have one particular dosha that is predominant in their inbuilt constitution, and once one understands which dosha they are, they can start to live their life in a manner that will allow health, happiness and contentment to flow. If you'd like to know what dosha you are, there's a great quiz at www.doshaguru.com (registration required). But this isn't the place for a lengthy discourse on Ayurveda. All you need to know for this recipe is that this Ayurvedic electuary will have numerous health benefits regardless of your dosha. So, with the context firmly in place, on with the recipe! Finally, cover the mixture almost to the top of the jar with locally produced honey. Stir slowly, to avoid a cloud of herb powder covering your kitchen, until the herbs are well mixed into the honey, put the lid on, label and store. And that's it! No need to refrigerate as honey is an excellent preservative. The Longevity Electuary is meant as a daily health tonic, eaten directly from the spoon, on toast, dissolved in hot milk, almond milk, coconut milk or ghee - however you like, really! Ashwagandha, shatavari and Siberian ginseng are known as adaptogens, which help the body to resist stress of all sorts: a good brief definition is that adaptogens are non-toxic, produce a non-specific defensive response to stress and have a normalising influence on the body. In my opinion, we all need adaptogens in our lives, and the Longevity Electuary is a delicious way to do it! Slippery elm and marshmallow aid digestion and soothe the gastrointestinal tract, as well as being highly nutritious. Elderberry is an excellent immune remedy, being rich in vitamin C and a powerful internal cleanser for conditions like flus and colds. Turmeric has a wide spectrum of useful properties, including boosting the liver's detoxification pathways and aiding digestion. One of its active constituents, curcumin, is a current hot property in cancer research. And while not a herb, spirulina - a single-celled, blue-green algae - is highly nutritious and has a host of health-promoting properties of its own. The same, if not more, can be said about the green algae chlorella. The only potential problem with this amazing recipe might be getting hold of the Ayurvedic ingredients ashwagandha and shatavari. The first place to try is your local independent health food store or herbalist if they also sell dried herbs; or failing that, have a look online. 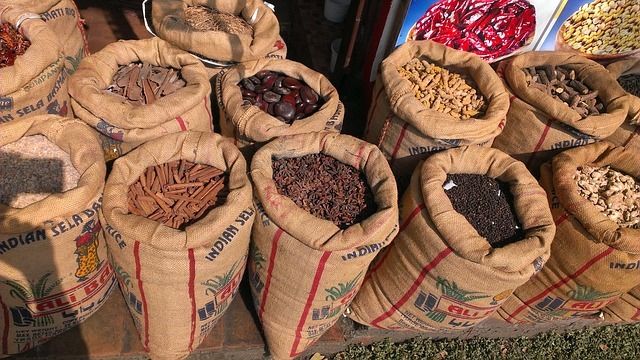 Another alternative is to replace these Ayurvedic herbs with a homegrown adaptogen that will be easier to obtain, such as licorice (Glycyrrhiza glabra). Simple to make, with health benefits for everyone, the Longevity Electuary is one to treasure. Let me know how you get on if you decide to make some!